Mandisa shot to instant fame when millions of TV viewers across the nation were captivated by her winning smile and powerhouse vocals as she sang her way into the final rounds of “American Idol’s” fifth season. Not only did she garner a multitude of new fans who now simply refer to her as “Mandisa,” but she wowed critics with her stunningly expressive voice. Born Mandisa Lynn Hundley on October 2, 1976, she grew up in Citrus Heights, California. After graduating from high school, she attended American River College in Sacramento where she studied Vocal Jazz. Then she studied at Fisk University in Tennessee and graduated with a bachelor's of music degree with a concentration in vocal performance. 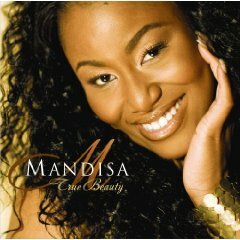 Mandisa's first full-length album True Beauty was released on July 31, 2007. She released her first single, "Only the World," on May 22, 2007. The song had a successful debut on the Billboard Hot Singles Sales chart, which tracks commercial single sales, debuting at #2 and reached #1 the following week. It is also getting major airplay on Christian radio stations. True Beauty debuted at #1 on the Top Christian Albums charts, making it the first time a new female artist has debuted at #1 in the charts 27 year history. It also debuted at #43 on the Billboard 200, an unusually high debut on that chart for a Christian artist. She also garnered a Best Pop/Contemporary Gospel Album nomination for True Beauty in December of the same year. Her second single "God Speaking" was released to Christian radio in October 2007. A third single, "Voice of a Savior," written by West, was serviced to Inspo radio in mid-2008, where it peaked in the Top 5 of Radio and Records' Soft AC/Inspo chart. 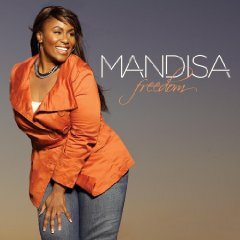 In November 2007, Mandisa released a holiday EP, Christmas Joy EP, which features the song "Christmas Makes Me Cry", a duet with frequent collaborator Matthew West. 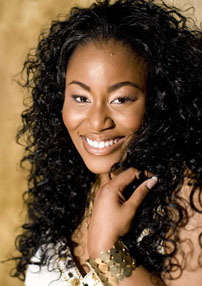 Earlier that year, Mandisa also recorded "Christmas Day," a duet with Christian recording legend Michael W. Smith. "Christmas Makes Me Cry" peaked at #2 on Billboard's Hot Christian AC chart, stopped from reaching #1 by her duet with Smith,"Christmas Day." It was the first time in the history of the Christian singles chart that a solo female artist was featured on the top two singles at the same time. 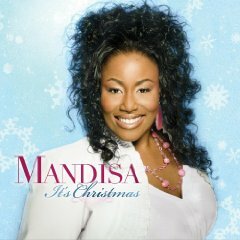 On October 14, 2008, Mandisa released a full-length Christmas album, It's Christmas. Her second album, Freedom was released on March 24, 2009. Freedom is the celebration of our emancipation expressed via the work of Christ. Each song deftly expounds on such a glorious theme from various vantage points. What perhaps is paragon of this disc is that every song here is steeped with not only Christ-centered lyrics, but they are of strong melodic constructions; song that you would remember long after the music stops. Such credit needs to go to producers Brown Bannister and Chris Stevens who have enlisted some of the best songwriters from the current contemporary Christian music scene including Matthew West, Tony Wood, Sam Mizell and Aaron Rice. The jubilant first single, “My Deliverer,” is a perfect example of the empowering message that builds the foundation of the entire album. With its buoyant pop/funk track backing her up, Mandisa sings with a carefree confidence about feeling more alive than ever. One of the album’s most stirring songs is its final track, “You Wouldn’t Cry (Andrew’s Song).” It holds a tender place in Mandisa’s heart because it was written for a new friend she made this past year who was pregnant, but whose baby boy, Andrew, was stillborn. “I wanted to do a song from Andrew’s perspective – about what he would say if he could speak to his Mom right now from heaven and comfort her.” Co-written with singer/songwriter Cindy Morgan, the song’s tender verses and melodic refrain, perfectly delivered by Mandisa’s clear, crisp vocals, are sure to be a comfort to all who have lost loved ones in their lives. As far as contemporary Christian music releases go, "Freedom" is in a class of its own. Most rewarding though is that though each song explores the theme of Godly freedom in its various facets, they are distinctive enough without giving the listener any soporific moments. Further, Mandisa is not only in tip top position vocally, she sings each note as if they are ministry moments; moments to spread the grace of God in its most splendid arrays.